Today we reached our halfway point on the Yellowstone & Grand Tetons in Spring workshop, and we finally reached the majestic landscapes of Grand Teton National Park. 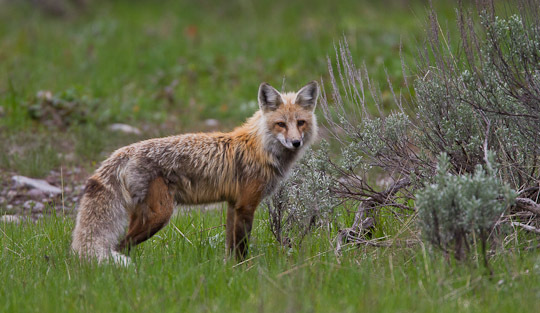 Grand Teton is truly a feast for the eyes with towering mountains and plenty of wildlife. 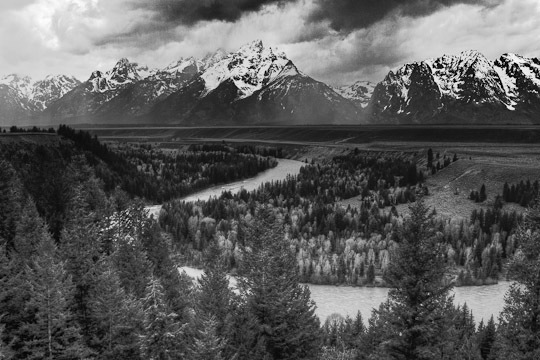 The image of the Tetons above is an HDR image processed with Photomatix, then converted to Black & White. In case you are interested, you can get a 15% discount when purchasing Photomatix, simply make sure to use this code upon checkout: “DigitalPhotoExperience” to receive the discount. Today we set out to make a few images of this dramatic landscape, as well as look for one of the Tetons emblematic mammals, the Moose. 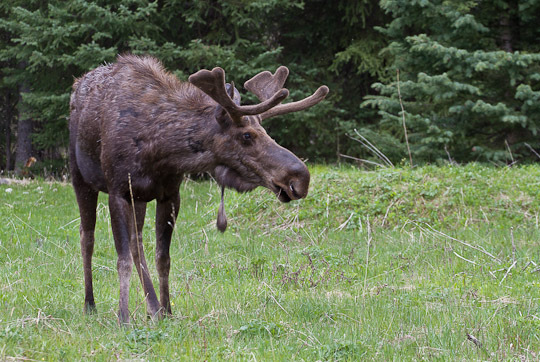 It took us a bit for found two very cooperative bull moose. These looked to be young animals, and as you can see, they are also shedding their winter coats. As a nice end to another long day, we got treated by another Red Fox who was “mousing” for a meal. Quick Tip: Make more images than you think you’ll want or need. Oftentimes when you revisit a shoot months later you find some jewels when you take a look with fresh eyes. If you’d like to join me on a Yellowstone photo workshop in the future, make sure to sign-up for my newsletter to be notified as soon as the new workshop dates are announced. Workshops fill up fast, so make sure to sign-up quickly. My husband and I are headed to Yellowstone and Grand Teton next week. The timing of your posts have been great. We are looking forward to visiting some of the areas you have mentioned this week.